FILA's Cage Retro finds its way to retail in a fresh new look appropriate for the warmer months ahead. FILA's Cage Retro finds its way to retail in a fresh new look appropriate for the warmer months ahead. 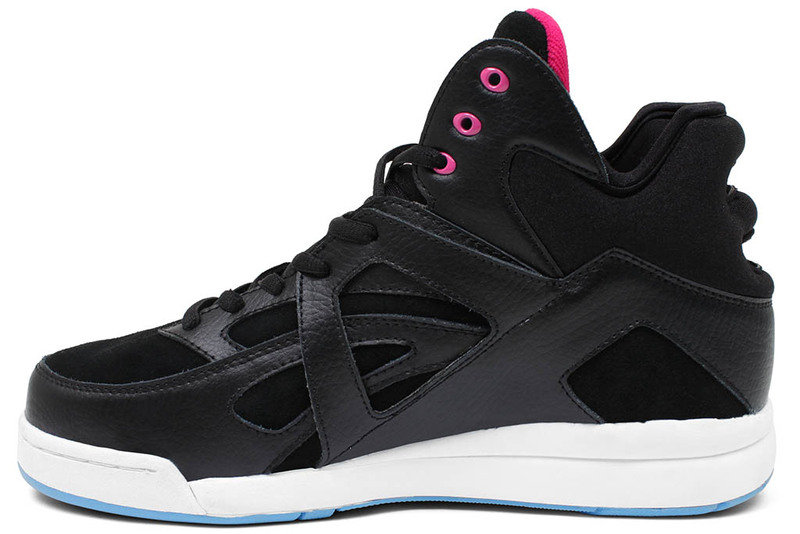 Featuring a tumbled black leather and nubuck upper, the 1993 high-top is accented by bright pink hits on the upper eyelets, tongue and FILA branding on the lateral side. An open-heel foam cage is prominently featured at the rear in black, while a white midsole and light blue outsole do the trick below. 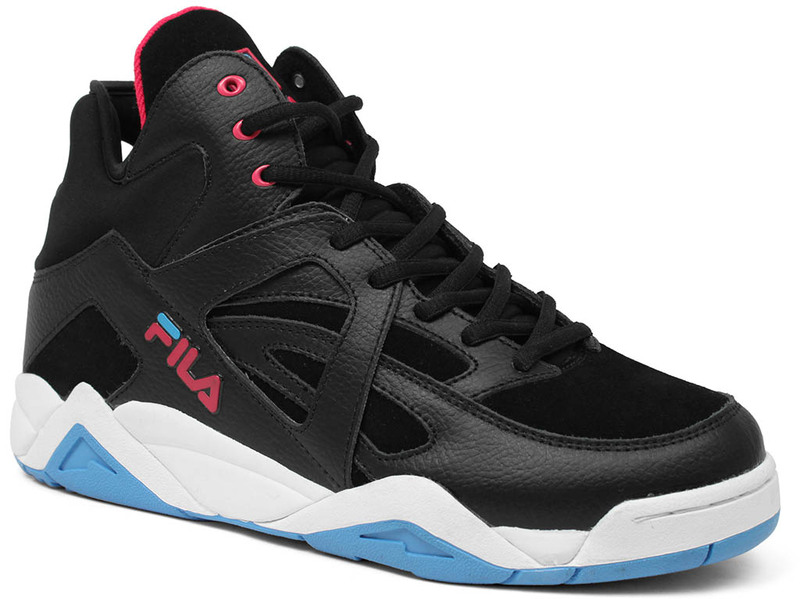 Priced at $80, you can grab the new Cage Retro directly from FILA today.